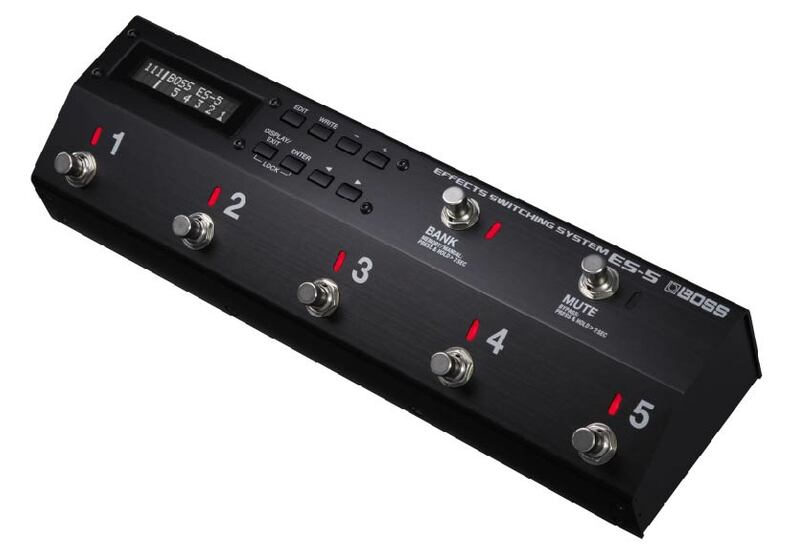 Boss have just announced the new ES-5 switching system. Featuring essential features of the flagship ES-8 but in a smaller size, the ES-5 is perfect for ready made pedalboards and travel rigs for enthusiasts and professionals. In addition to routing capability and connectivity, the ES-5 pays particular attention to sound quality. It’s designed in a way that does not contribute to sound deterioration, keeping your tone pure and free of noise. These results are accomplished by carefully designed analog circuitry developed with the know-how, experience, and design expertise of the BOSS engineering team. In further regard to tone pureness, the ES-5 is equipped with input and output buffers that can be turned on and off independently as needed to suit any rig. *The output buffer is combined with the onboard mixer for the parallel chain function.